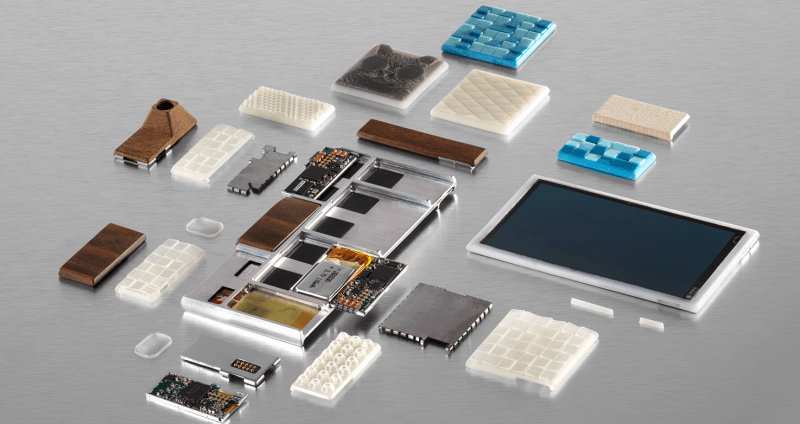 Google's Advanced Technology and Projects (ATAP) group is still hard at work on Project Ara, a modular smartphone that would allow users to swap out and replace certain parts at will. The company is hoping that entry-level Project Ara devices will be available for as low as $50, giving a wide range of people access to the futuristic technology. The entry-level handsets have been labeled as "grayphones" by its engineers, and will be extremely bare-bones. If all goes to plan, you'll eventually be able to purchase a grayphone - equipped with little more than a touchscreen, Wi-Fi and enough power to run them - at a local convenience store. From there, an app will guide you through the process of customization and buying new modules for the unit. If you want the full Project Ara treatment you'll also eventually be able to head to a specialized kiosk, where technology and staff will assist you through the process of buying a grayphone and building a smartphone. Unfortunately the team behind Project Ara hasn't quite figured out how to get the cost of a grayphone down to $50, but it's all still a work in progress. ATAP and Project Ara were originally under the control of Motorola, a subsidiary of Google until recently when it was sold to Lenovo for $2.91 billion. However Google decided to keep ATAP, lead by former director of DARPA Regina Dugan, to push along smartphone hardware innovation. It may still be a while before we see a working prototype of Project Ara, and it doesn't look like it will hit the market until 2015 at the earliest, but the future is looking rather interesting.